Absolutely brilliant hotel. Staff were amazing and so helpful. The train line right outside made it so easy to get around. Like the title says it is not a 5 stars and you do not pay for a 5 stars but it surely feels like it is. The location is excellent right next to the metro station without the noise. In París, you better learn to use the Metro and it is very easy.The room has everything you need and it feels brand new. The breakfast was good enough. The staff is where they excel. Lucas, Fiona, Ahmed they make this Hotel a 5 star, always helpful and with a smile. Great little Hotel if ever in Paris again Vic Eiffel would be my hotel. We love Vic Hotel (stayed there a few times) because it’s modern, clean, very practical and is located in our favorite neighborhood. The bed is very comfortable indeed. 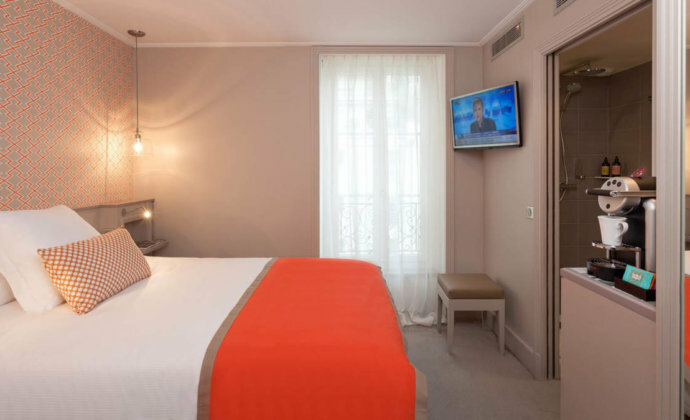 It is a really nice hotel, right next to Sèvres—Lecourbe metro station on line 6. People at reception were super nice and helpful. 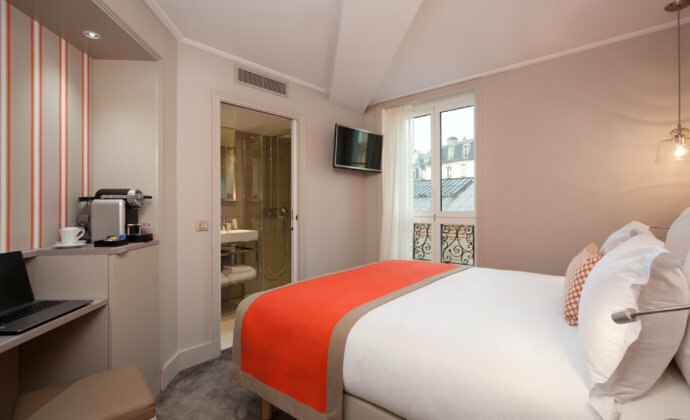 The room was comfortable, you will find L’Occitane amenities in the bathroom, and also a coffee machine so you can make a cup of coffee or tea anytime. Very well located, on a peaceful street, but very close to two different metro lines, and 10 min walking distance to Eiffel. In the hotel every detail is well designed. Very calm and quiet atmosphere, excellent bed and pillows, and perfect bathroom. Breakfast is rich and nice. Very pleasant staff. 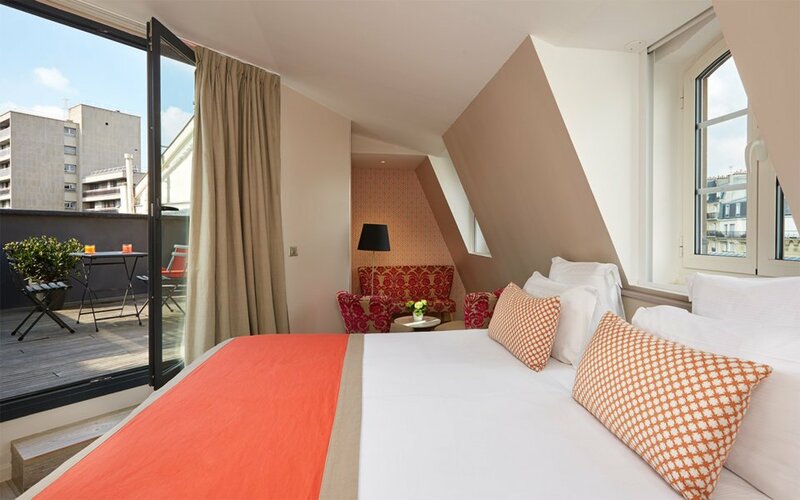 The Vic Eiffel Paris hotel is in the heart of the Left Bank. 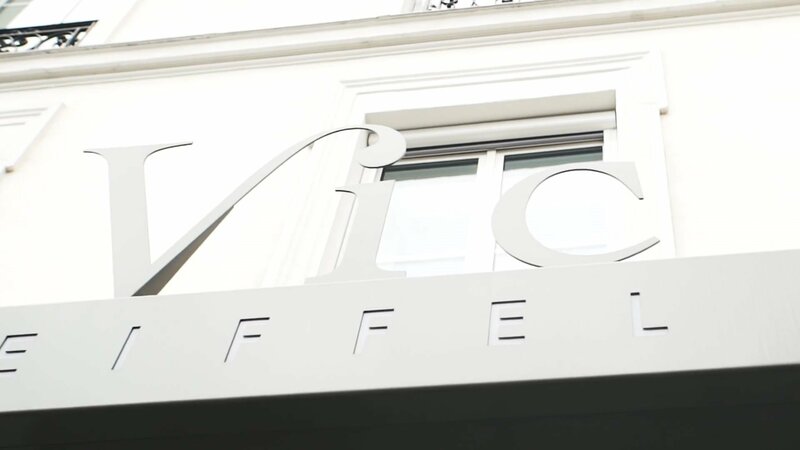 At the meeting of the 15th and the 7th district, the Eiffel Vic Hotel is located close to many iconic sights of Paris including the Eiffel Tower, the Invalides or Saint-Germain-des-Prés. You will also be close to the Unesco headquarters, the Pasteur Institute and Necker hospital. 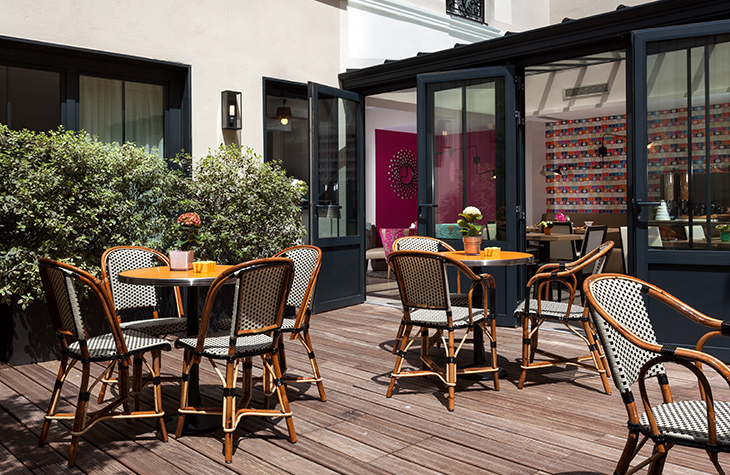 Upon your arrival, you will be dazzled by the soul of the institution: this 3-star hotel in a Parisian house atmosphere where codes of a classic townhouse were taken and subtly diverted to make them more contemporary. 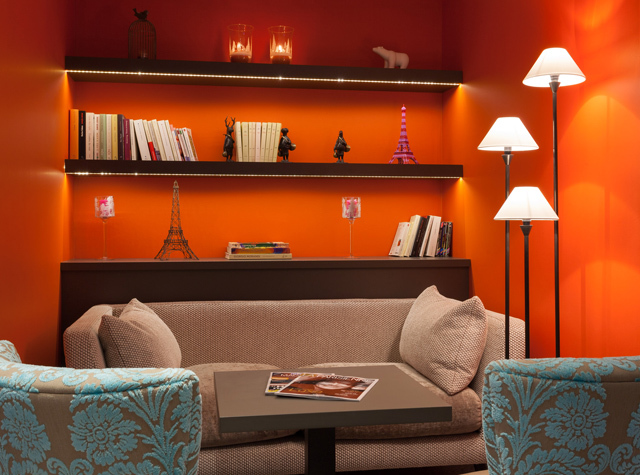 In addition to the bright open spaces, you get a cozy and elegant atmosphere that makes you feel welcome among friends. During the day, the evening after a day of sightseeing, shopping or just to eat, enjoy the quiet and tranquility of the veranda and the pleasant terrace of the hotel. 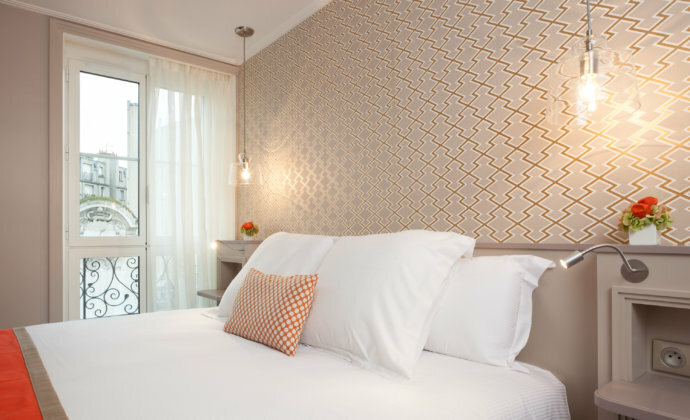 In this haven of peace in the heart of Paris, 30 rooms with ultra-comfortable bedding, air conditioning and soundproofing are offered, enough rest after a day in Paris. 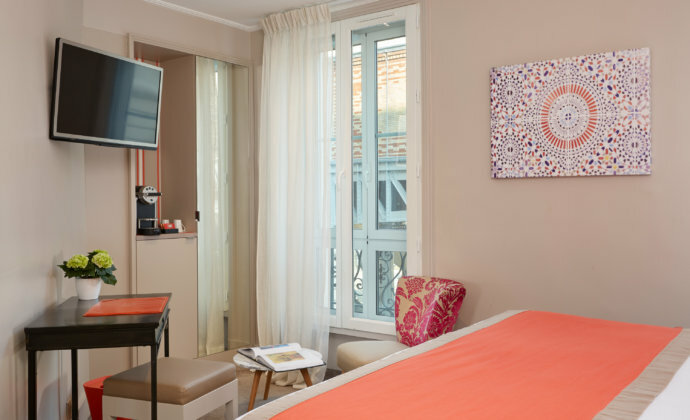 So, thanks to the reception of a attentive, attentive team and attentive to your clientele, you feel wonderfully well at the Hotel Vic Eiffel.